Handmade brass vessel is raised, a process of repetitive hammering of sheet metal over special steel stakes to create volumetric forms. 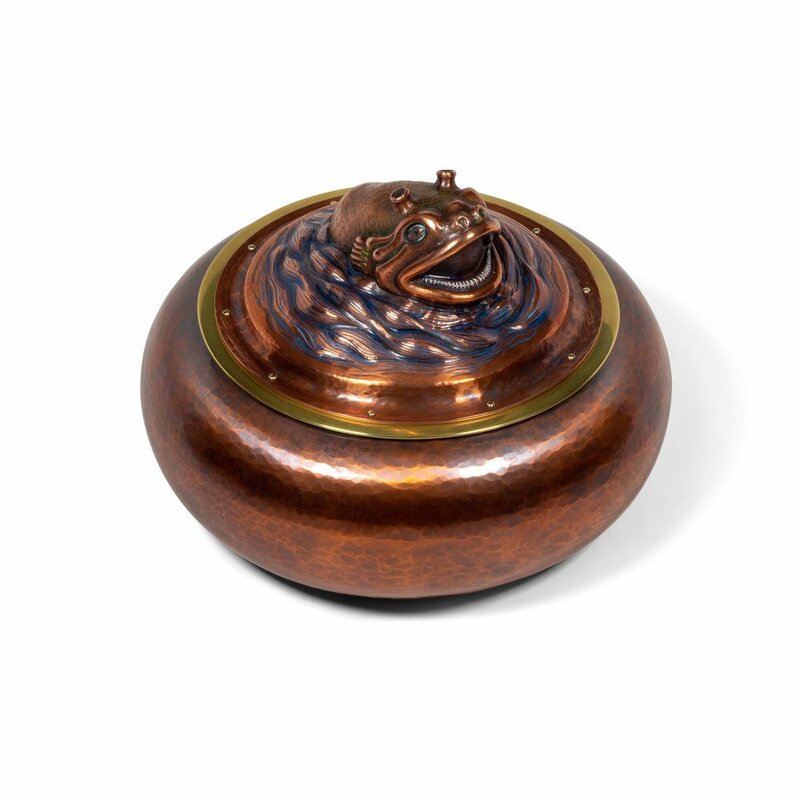 The lid on this container is made out of Shibuichi, an alloy consisting of 5% silver & 95% copper. 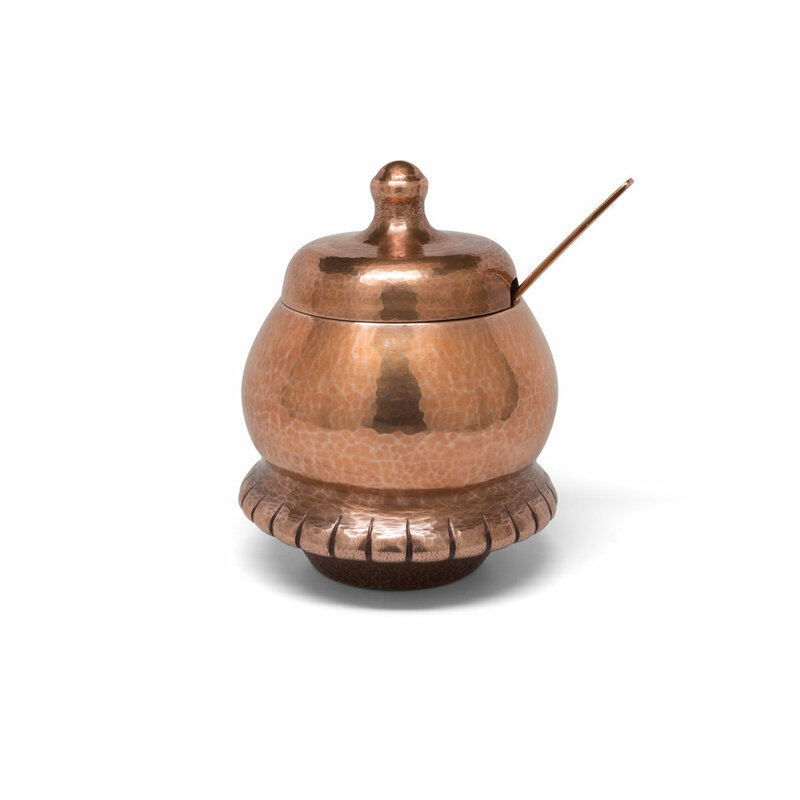 Handmade copper container and lid are both raised, a process of repetitive hammering of sheet metal over special steel stakes to create volumetric forms. Both the lid and container have decorative chasing and repousse forming a scaled pattern on the container and flower on the lid.